Back-up cameras are one of the most awesome safety features to come equipped on the newest crop of cars, trucks and SUVs. What’s equally as awesome? If your vehicle didn’t come with one, you can now buy one and have it installed. The peace of mind rear view camera systems give you when visibility may be an issue is invaluable. Nothing bites more than realizing you backed into another car, or worse yet, a person! A quick glance in your rearview mirror isn’t always enough. Even when you look back over your shoulder, you still have a blind spot. We tend to trust that those little quick checks are enough. And for a lot of us, they have been. Guess you can say we’ve been lucky. But for those unfortunate few who have thought they looked well enough and then disaster strikes, a backup camera could have helped them avoid it. Backing into parking spaces and parallel parking are some of the hardest driving skills to learn. But with a backup camera, it’s almost impossible to mess up. Not only does the camera show what’s back there, but they also show a guide path using lines that are the width of your car. These lines show you how much room you have on either side and behind the car. Have you ever been stuck in traffic, or in a situation where you need to back up? You’re almost terrified to because you know you don’t have that much room to work with, and you’d hate to back into someone. Cue the backup camera! It will ensure that you can safely backup, allowing you to know the entire time how much room you have left. Unfortunately, any child or pet less than three feet tall is more at risk for not being seen by a car backing up. 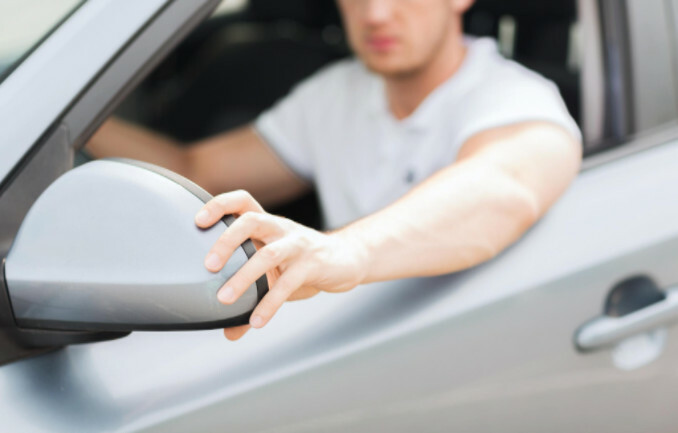 Cars that come equipped with a life-saving backup camera system help avoid this danger and prevent possible accidents. The consequences are too dire. Enough said. Convinced? Stop by Bryant Motors, contact us via phone, or check our online inventory of new or used vehicles that come equipped with backup cameras.